CMS is releasing a new report that shows that, thanks to the Affordable Care Act, more people will be gaining access to coverage through their state Medicaid program and the Children’s Health Insurance Program (CHIP). According to the report, over 1.46 million people have been determined eligible to enroll in Medicaid or CHIP in the month of October through state Medicaid and CHIP agencies and through State-based Marketplaces. Because of the Affordable Care Act, many consumers are eligible to enroll in private health insurance plans at the Health Insurance Marketplaces and save money on their monthly premiums, and many others are now eligible for their state’s Medicaid or CHIP programs. The Affordable Care Act provides states new opportunities to expand their Medicaid programs to meet the needs of more low-income residents. 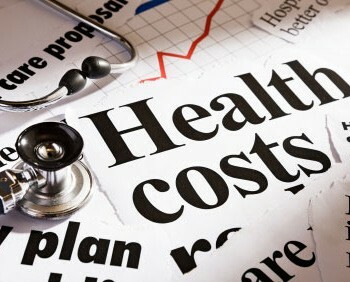 In states that expand coverage, most individuals with incomes up to 133% of the Federal Poverty Level, or $15,282 for an individual and $31,322 for a family of four, will be eligible for Medicaid coverage that begins January 1, 2014. Not only is coverage good for new beneficiaries, it’s a good deal for states: Coverage for newly eligible adult beneficiaries is fully federally paid for under the Affordable Care Act for the first three years, with funding gradually dropping to 90 percent after that point. Since October 1, when the new Health Insurance Marketplaces opened, we’ve been hearing stories about those who are enrolling in Medicaid and CHIP coverage every day. In October, in states that are fully participating in the expansion of Medicaid coverage made possible by the law, we’ve seen a more than 15 percent jump in applications compared to the average monthly enrollment in July through September. This shows a real need and desire for coverage for low income Americans. These gains are made possible by collaboration between CMS and the states operating their programs on the ground. For example, states have been taking advantage of flexible, innovative ways to get people enrolled. Last spring, CMS released a set of options states could use to enroll Medicaid beneficiaries. One option is to reach out to people who qualify for the Supplemental Nutrition Assistance Program (SNAP), because they are also likely to be eligible for Medicaid. In participating states, we’ve seen nearly 223,000 individuals enroll in Medicaid using this strategy. The increase in the number of applications submitted and in Medicaid determinations across the country is encouraging, and CMS looks forward to sharing additional information. Today’s report is the first in a series of monthly reports on state Medicaid and CHIP data. The data were reported to CMS from state Medicaid and CHIP agencies as part of the Medicaid and CHIP Performance Indicator process and supplements data on Marketplace activity released by HHS.